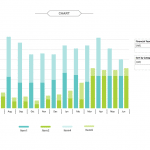 How Infographic Dashboards Help Optimise Operations. 5 Ways A Great Dashboard Can Optimize Your Business Operations. Business leaders employ numerous tools to track operational progress and strategically plan future campaigns. It is not an easy task, considering there is almost limitless and complex data that can tell the story of how the data can drive the business. Dashboards are multipurpose and beneficial across all business management groups, from it financial, marketing, HR, IT, content or sales. They display a concrete, real-time visualization of what to implement for better business decisions and they are vital for leaders and analysts who need to take a look at business objectives and make decisions on that data. Let’s take a look at some rewards of using dashboard that are beyond cost benefit analysis and how you could leverage them at a company-wide level. Dashboards are like gauges that give a picture of key performance indicators and metrics that govern business campaign’s success or failure. Interactive dashboards project the KPI trajectory by crunching raw data from multiple points and metrics related to business success. It will combine reports and provide valuable insights to show campaigns that are not doing well. It lets organisations manage resources better and improve scalability of operations. #2: What Spreadsheets Can’t Do, Dashboard Can! Spreadsheets have been the go-to strategic analysis tool. They’re valuable but can fail to solve to big data problems and offer no real insights. A dashboard can display relevant data ranging from basic charts and graphs to tables, but the real win is when it can be customised to incorporate multiple data types and visuals. Beyond that dashboards allow business leaders to drill down, explore and take a deeper look at various facets of their data. Raw data in spreadsheets cannot intuitively help to identify trends or clarify ambiguities. With the help of an interactive dashboard and appropriate metrics it is possible to visually analyse and facilitate creation of a clear strategy which leads to action. A Hurwitz research survey in 2005 showed improved operational efficiencies and the conception of greater intellectual capital through the use of business dashboards. The research respondents reported full return on investment in dashboards in less than a year. With increased efficiency, less time is required for parallel tasks that otherwise would have demanded more time. 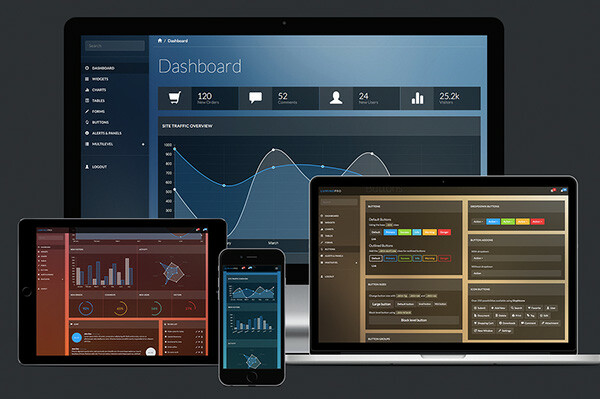 Dashboards not only add an aesthetic value but also lead towards automation of tasks. It improves scalability of the business as it enhances both top and bottom line growth backed by inter-department co-operation. A well designed visual dashboard has the ability to incorporate real-time metrics and provide analysis on-the-go. In turn, this gives a common ground for fine tuning and alignment of campaigns in real time. 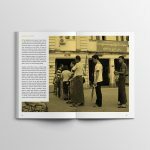 The visual approach makes it easy for the user to engage and employees understand what is expected from them, thus realisation of goals and strategy is optimised. In today’s world, organisations that are leveraging dashboards to the fullest are able to make data exploration a part of everybody’s work. Great dashboards are able to fulfil the niche requirement of business leaders from reporting to deciding course of the future operations and strategy. Are you a business leader wanting to make interactive dashboards an essential part of your business approach to data management? We’d love to get your feedback via our social channels.